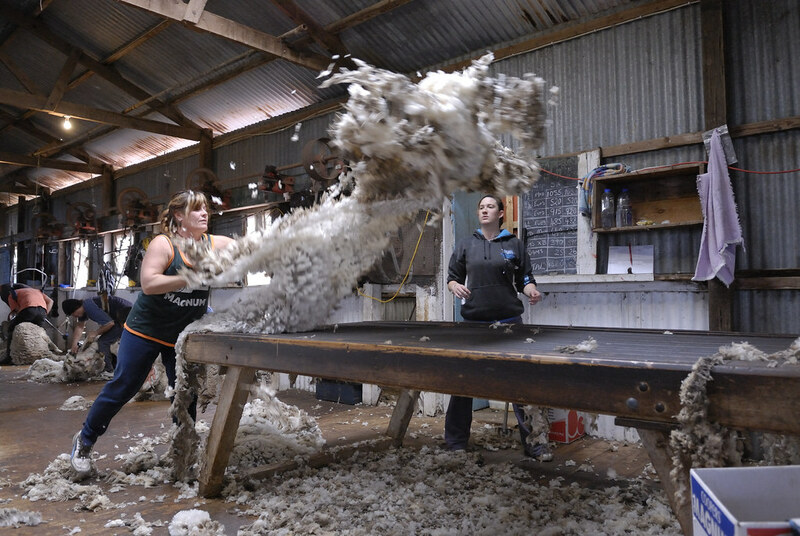 Taken at a shearing shed on Kangaroo Island, South Australia. The guys were really very friendly. A VERY tough bread. 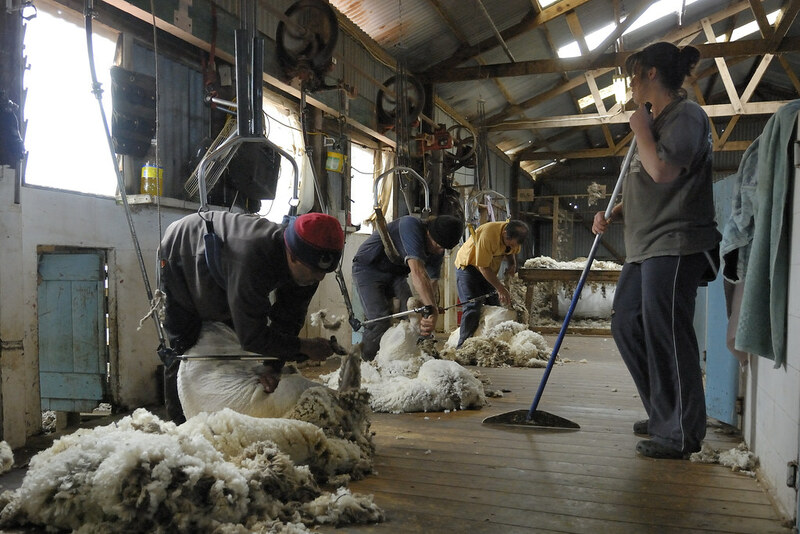 Shearing is exceptionally hard work and so is being a shed hand!! Picture taken with the 17-55 Nikkor F2.8. Not my favourite lens but very close. The shed was very dark so I had to open up and and breathe very slowly :) Looks better on a big screen.